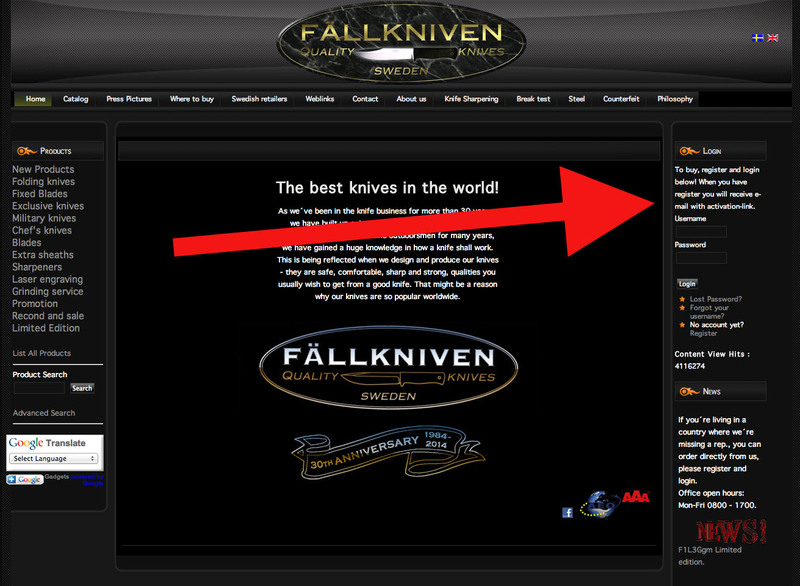 There are many places where you can buy Fällkniven online. The knife is frequent and very popular on sites like Ebay and Amazon. Unfortunately these sites sometimes contain fake knifes. Cheap Chinese copies that does only resemble the knives. It’s tricky to buy a knife and that’s why we would recommend you to buy the knives directly from the manufacturer. 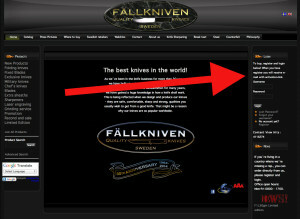 Fällkniven ship world wide (except to some places in Russia, for some unknown reason). They have a shop on their homepage. It could be a bit tricky to find it though. First you have to register as a user before you can purchase the merchandise. Create an account by clicking on a link to the right. If you still want to buy on Amazon or Ebay, make sure you know how to spot a fake Fällkniven knife.